Apple’s latest updates to both iOS and OS X have largely banished skeuomorphism—design elements that imitate real-world counterparts. 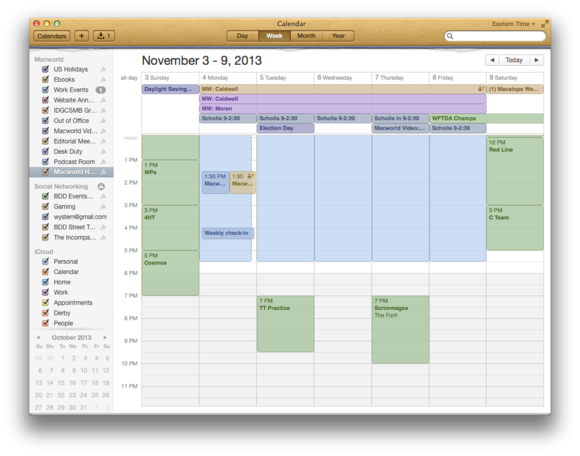 (The leather textures in Mountain Lion’s Calendar, Contacts, and Notes applications are the most familiar examples.) Much like iOS 7, OS X Mavericks strips out those gaudier elements of Apple’s past designs and flattens faux-3D textures. 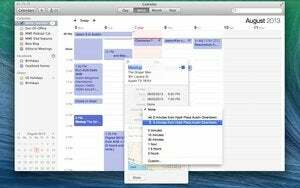 Here are some of the visual changes you will likely notice in the new Mac OS. According to legend, Steve Jobs so admired the leather texture of the seats in his private jet that he demanded Apple’s designers incorporate such a texture into the Calendar, Contacts, and Notes applications (complete with stitching). As much as we love Jobs’s vision for most things, though, his obsession with rich Corinthian leather is one we’re happy to see fade away in OS X Mavericks. We’re happy to see Steve Jobs’s beloved leather go away in OS X Mavericks. Not only has the leather border disappeared from each of the above-mentioned programs, but you’ll also no longer find faux binding stitches holding your address book together in Contacts. Without all the skeuomorphic elements, the application now has room for a title bar, which displays the number of contacts within the selected group. And Notes loses its torn-paper border at the top of each note as well as the small hieroglyphics-like trash icon at the bottom of each note—because presumably we all understand the function of the Mac’s Delete key. The dark linen background has given way to simple dark gray. Though the Corinthian leather was perhaps the most prominent texture in Lion and Mountain Lion, another was lurking about: dark linen. 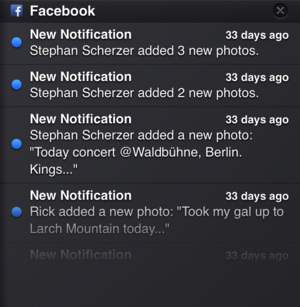 That subtle pattern of white and gray threads appeared in the background of Notification Center, Mission Control, and even OS X’s Accounts window. But no more: It too has been given the heave-ho. Where once you saw linen, now you have dark gray. Not content to strip out merely the leather and linen, Apple’s designers also went after some less noticeable textures. If you compare Mavericks’s DVD Player to the one found in Mountain Lion, for instance, you’ll find that controls such as Video Zoom, Video Color, and Audio Equalizer are less transparent than their Mountain Lion counterparts. The Dashboard background was once littered with Lego-like dots; it’s now a smooth gray grid. And certain icons in System Preferences are flatter, losing their metal texture of old. 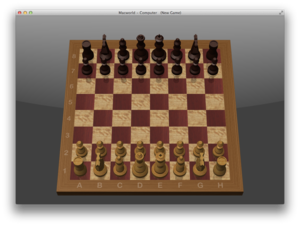 If you miss the skeuomorphic design of apps, there’s always the Chess application. While Apple has made some substantial moves away from skeuomorphic design in Mavericks, it hasn’t banished the look entirely. Visit the Applications folder, and you’ll still find application icons that parrot their purpose: A tabbed address book still represents Contacts, Image Capture sports a point-and-shoot camera, Reminders still resembles a checklist, and TextEdit hasn’t lost its pen or its inspirational (and marketable) words from John Appleseed. More-blatant examples also remain. Launch Game Center, and—whoa!—the polished wood and green felt textures are still prominently on view. And if you’re interested in how our ancestors in the early 2000s rendered wood, grass, marble, metal, and fur (complete with reflections, in most cases), you need only launch the venerable Chess application.